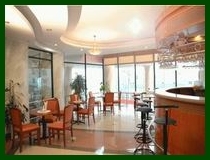 Asean Halong Hotel is an international standard 4-star hotel with 101 luxurious and modern rooms. Its warmth and modern European setting makes you feel at home while at the same time offering you a lifestyle experience. 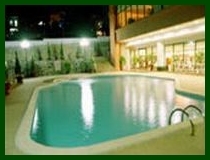 Asean Halong Hotel offers guests a retreat from the quiet and sea view of the Halong Bay. Since opening on April 2005, Asean Halong Hotel has established its brand name and reputation. From Asian tour groups to European visitors, delegations from many countries., Asean Halong Hotel has been playing the perfect host, delighting them with an unparalleled level of service excellence. Asean Halong Hotel is situated in beautiful Halong Bay, named by UNESCO as a World Heritage, in Halong City, Quang Ninh province, Vietnam. It is: 10 minutes from central downtown. 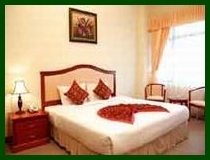 150 kilometers from Noi Bai International Airport in Hanoi. (Airport pick-up available). A short walk away from the beach, Night Market and Bai Chay Trade centre.5 minutes from the tourist harbor. 10 minutes from the Bus Station and Bai Chay Bridge. 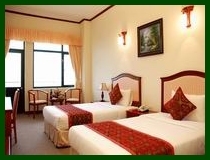 Asean Halong Hotel has gracious amenities and the highest standards of comfort in its 101 guest rooms and luxury suites. 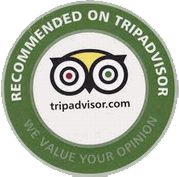 The wonderful experience is taken a step further with its international-standard services and traditional hospitality unique to Halong and, indeed, Vietnam. Each of its 101 tastefully arranged deluxe rooms is complete with a view of Halong Bay, movie channels, minibar, air conditioning, in-room safe, and bathtub plus complimentary tea and coffee.